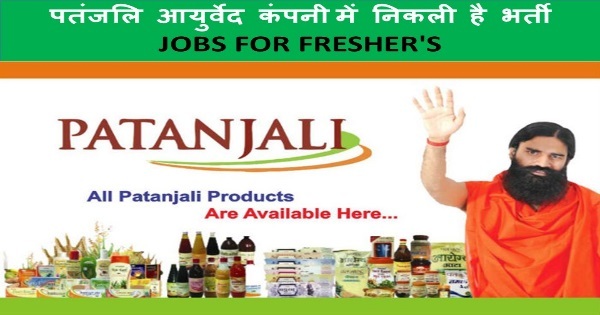 Patanjali Jobs Tsunami, Patanjali Jobs Recruitment: Baba Ramdev Patanjali Product company released latest recruitment notification for freshers to hiring more than 50,000 people across India. The company looking for freshers with good experience and enthusiasm for salesman post for each and every district in India. The Patanajali product company looking for hiring freshers for his new business. This is a good chance for those candidate who looking for job. The Haridwar-based company is looking to “urgently” hire thousands of youth across the country. Patanjali has been expanding its footprint in diverse sectors. Candidates who have interested in job and have essential qualification they may apply for this post. 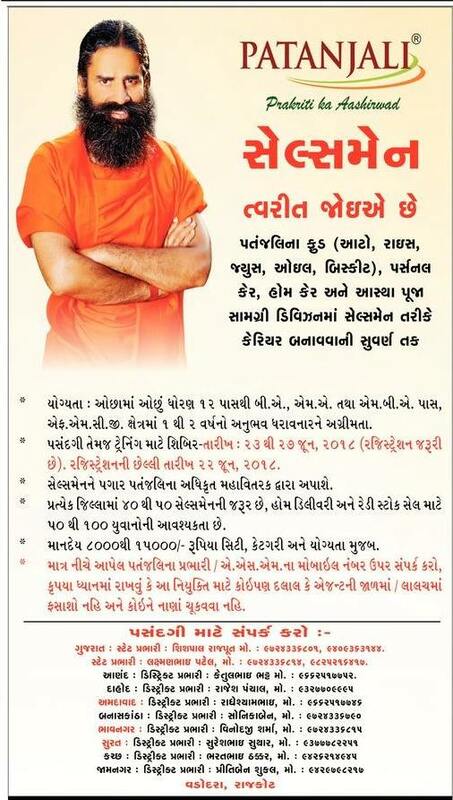 Patanjali is looking to hire 40 to 50 salesman in each district of the country. 50 to 100 people are required for home delivery and ready stock sale.The salesman will get the opportunity to work in various divisions of Patanjali including food (atta, rice, hice, oil, biscuit), personal care, home care and Astha pooja items. After emerging as a major FMCG brand, the company is now all set to enter the garment business with ‘Patanjali Paridhan’ and looking for hiring salesman. The candidate can contact authorized Patanjali coordinator/ASM mobile numbers that have been published in major newspapers today. Rs 8000/- to Rs 15,000/- as per city category and qualifications. Minimum 12th pass, B.A/M.A/MBA. Patanjali will give preference to those who possess one or two years of experience in the FMCG sector.